Darlene has been with Murray & Thomson for more than 23 years and is extremely knowledgeable in all aspects of the complex and constantly changing world of litigation including: Family Law, Civil Litigation and Construction Liens as well as Corporate Law. 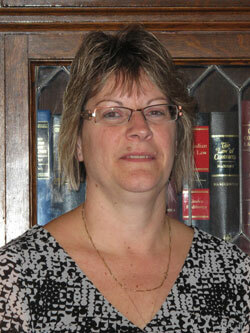 Darlene is our liaison for clients to assist them through their family and matrimonial difficulties. Her vast knowledge of corporate reorganizations and asset and share purchases and sales as well as corporate filing requirements benefit our clients with efficient and timely work.